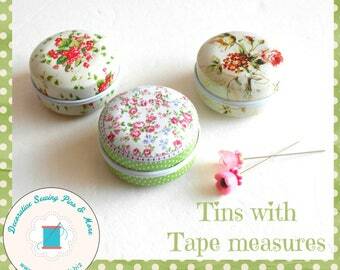 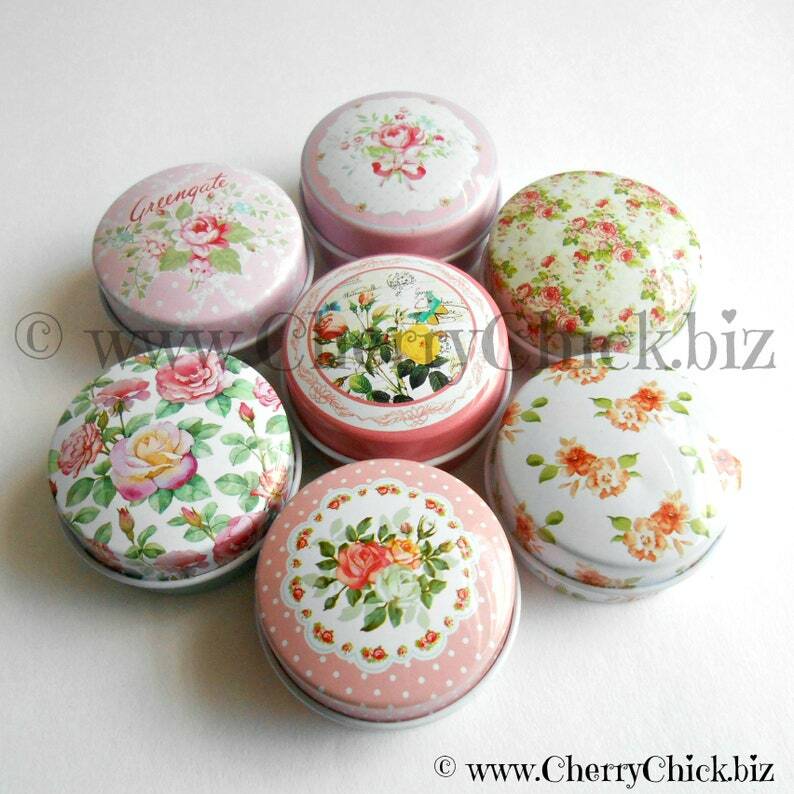 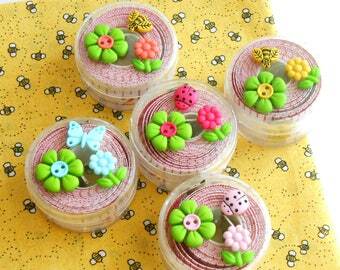 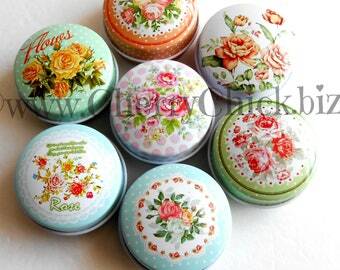 A charming floral tin with a 60 inch sewing tape measure inside. 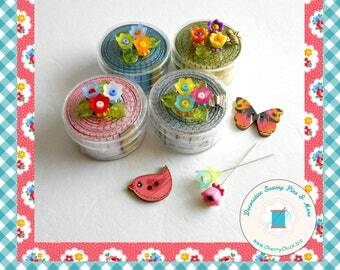 Order by design letter. 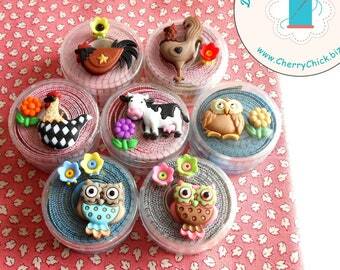 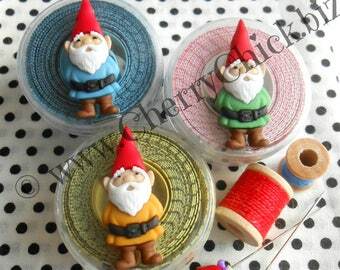 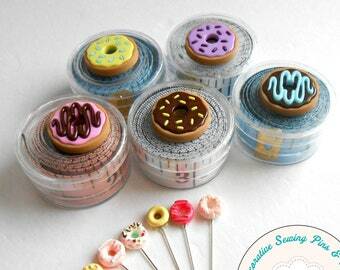 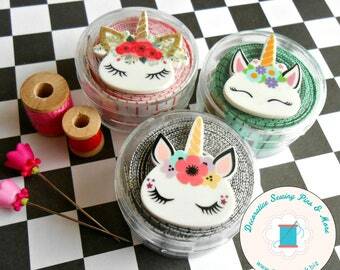 Who wouldn't want to display this whimsical little sewing accessory right on your sewing table? 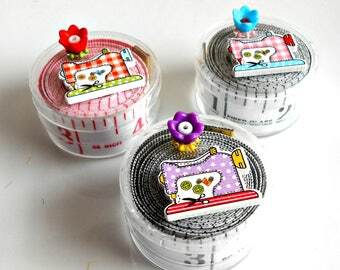 Need a gift for your sewing exchange? 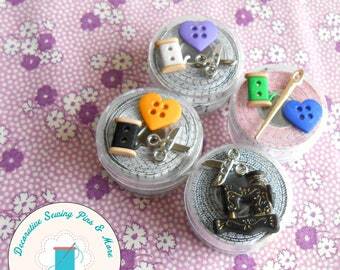 Having a giveaway on your blog or Instagram page?